Need to brush up your Android development skills? Meet fellow developers? CodingGreenRobots.com is exactly what you're looking for! Tomorrow it will start from scratch: the meetup will begin with an overview on how to set up the Android SDK and Eclipse IDE in an efficient way. Matthew Patience [Mobicartel] will be going through mini-tutorials on specific Android Views such as Lists, Tab Layouts, Form Widgets, and Galleries. Greg Carron will go over basic graphics for Android Development including densities, sizes, and XML layouts. 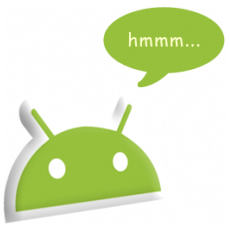 In the Development News portion of the show we will cover NFC and its exciting future as a new feature of Android. As well we are excited to have Mark Reale [BNotions] on the program for an interview regarding community evangelism, AndroidTO, and the Yorkville Media Centre. For those who are unable to attend the event, you will be able to watch live online at CodingGreenRobots.com as they will be streaming the entire episode.